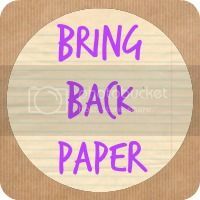 This week I wasn’t going to take part in the Sunday Stationery linky, I haven’t bought any new paper goodies, but Jocelyn assured me I could use old items too, so here I am, better late than never! I have a beautiful writing set, it’s got roses on it, well, flowers at least, I’m no good with naming plants! It all packs up into a compact box and contains paper and envelopes for writing letters and 2 designs of note cards with more envelopes. It was a present but I got it so long ago I’m not sure who from, how awful! I rarely use it because I’m one of those awful people who gets gifted and buys stationery and then keeps it for ‘best!’ I am so worried that, if I use it, it will be used up and gone! I know there are a multitude of other beautiful writing sets out there that I could replace it with, but I love this one and don’t want it to be all gone! I know I’m not alone in my lack of use of beautiful sets like this, or any papery goodies, but I do feel like a fool! I really must get my pens out and get writing! Do you have duplicates? If you do perhaps you could frame one of each. Just a thought. Like Helena says, I’ve been known to put favourite blank cards in frames 🙂 The rest of this set is too nice not to use!